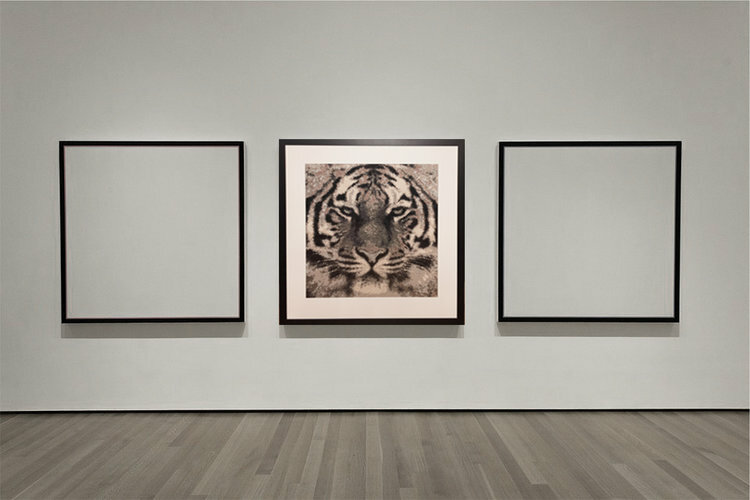 Hello Tiger | Original Sustainable Textile Pixel Artwork | 84cm sq | Professionally framed with 3cm black veneer and white matt board. This Artwork has been crafted from around 12,000 sustainable fabric tiles. The 12 fabrics include, Silk Dupion, Cotton, Denim, up-cycled Satin, Up-cycled Polyester, Organic Cotton Duck.